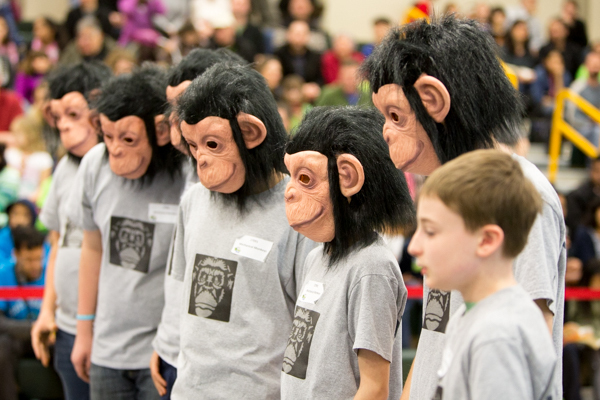 The main gym on campus was alive with science last weekend: mealworms were eating Styrofoam, the whirr of Lego motors was in the air, and 120 teams of 9 to 14 year olds from around the northern Puget sound area competed for a chance to go to State. 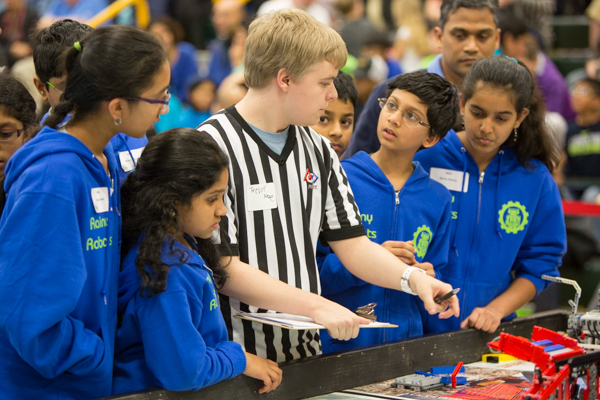 This was the scene of one of the FIRST (For Inspiration and Recognition of Science and Technology) Lego League regional semifinal tournaments, where kids worked with Lego robots and produced research projects pertaining to the theme “Trash Trek,” which asked students to research garbage and recycling technologies. 30 of the teams from this competition will advance to the event in Kent where teams from around the state will be reduced to just one. That team and 49 other American teams will join 50 international teams at the World festival in St. Louis, Missouri. 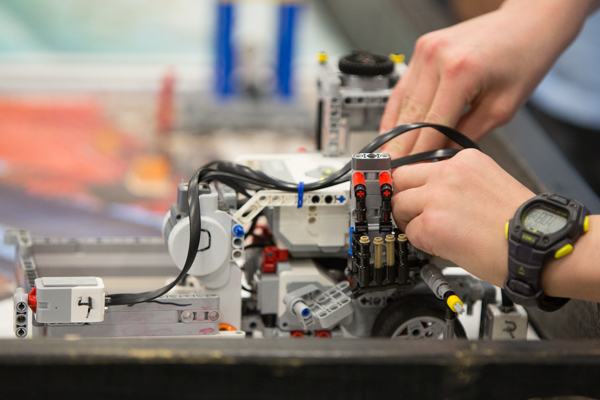 The competition was broken down into three parts: Programming the Lego robots, presenting their research projects and “core values:” a random challenge where groups are judged on their ability to work as a team. For the research portion of the event, teams came up with new ways to either dispose of or repurpose the waste of society, and then presented their findings science fair style: with props, prototypes and poster boards. The groups came up with a variety of different projects ranging from edible coffee cups to Styrofoam-based glue. 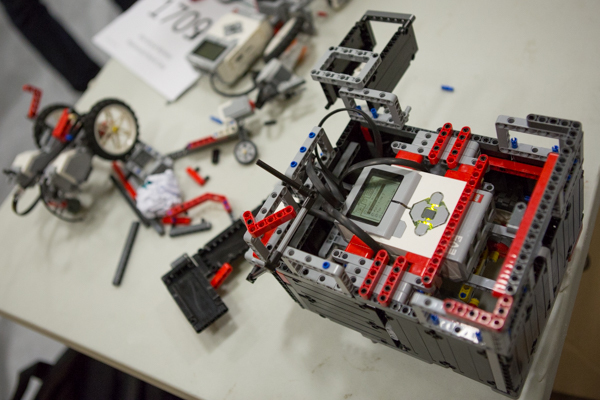 For the Lego robotics portion, teams programmed their robots to carry out simple, Lego-sized tasks like knocking a building over, moving an animal into a small marked space, and carefully pushing a car along a rail. 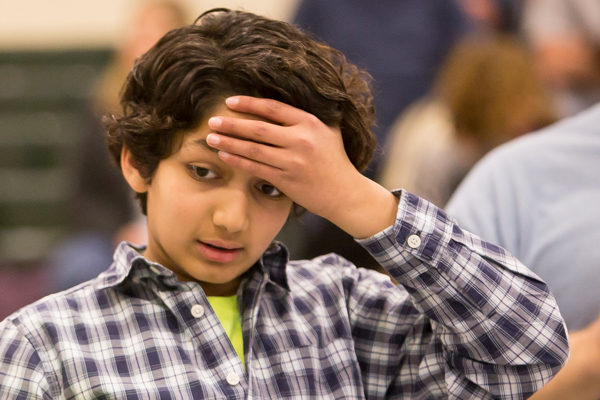 The teams each went head-to-head with another team in a series of matches where they completed the tasks as accurately as possible, with a time limit. FIRST is a worldwide organization that stands for: “For Inspiration and Recognition of Science and Technology,” and is dedicated to connecting kindergarten to high school age students who are interested in Science, Technology, Engineering and Mathematics (STEM) with mentors who guide them through the process of innovation. According to Eric Van Buren, a senior mentor and recruiter for FIRST, the program is entirely volunteer-driven and that anyone with experience in tech, machining or engineering are encouraged to volunteer as mentors. Van Buren initially became involved in the program when his son became involved at the high school level. Outside of a few select volunteers and guest judges, involvement from those in the SCC community was limited.